Recently, Telegram added a feature which allows users to create / add custom themes, and now, you can now make Voice calls on the latest Telegram for iOS and Android. Telegram just released a new version of its popular Messaging app, that now allows you to make voice calls. This feature has been rolled out to both Android and iOS users, but currently available to only users in Western Europe. Though, the company has it that it will soon be rolled out to everyone globally. 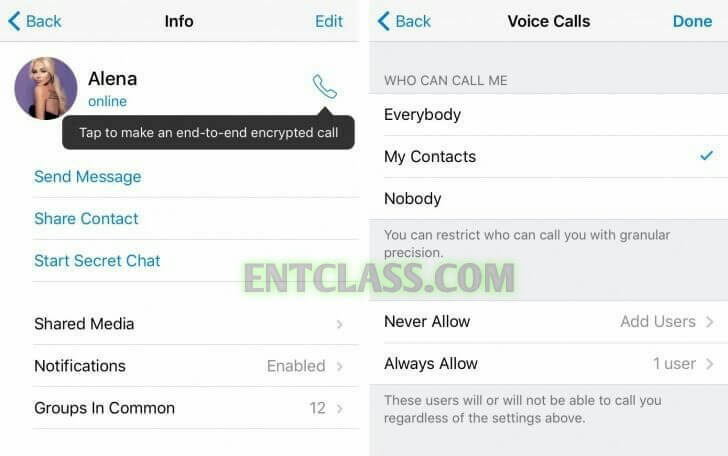 Just like messages, Telegram uses end to end encryption for its voice calls, which can be confirmed by comparing the four emoji on screen, which act as a verification key and would be identical for both callers if the call is encrypted. Telegram uses a neural network to analyze your call metrics to improve audio quality over time. Users can also choose to reduce call quality manually through settings for less data consumption. 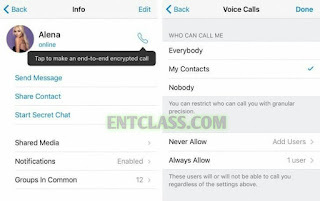 Users will also be able to choose who can call them and turn off voice calling entirely. Telegram claims their audio quality is superior to their rivals under similar internet conditions. Another feature added in the latest update is the ability to choose the quality level of the videos that you upload. The app will display a preview of how the video will look to your recipient, which Telegram claims has never been done before on a messaging app, and you can choose different resolution options before sending. That's a good one from Telegram, it's really a high time for them to step up with amazing features like this. We hope to see more of this. What do you think? I use to have this app. But I don't just like it so i deleted it. They have been struggling since inception.